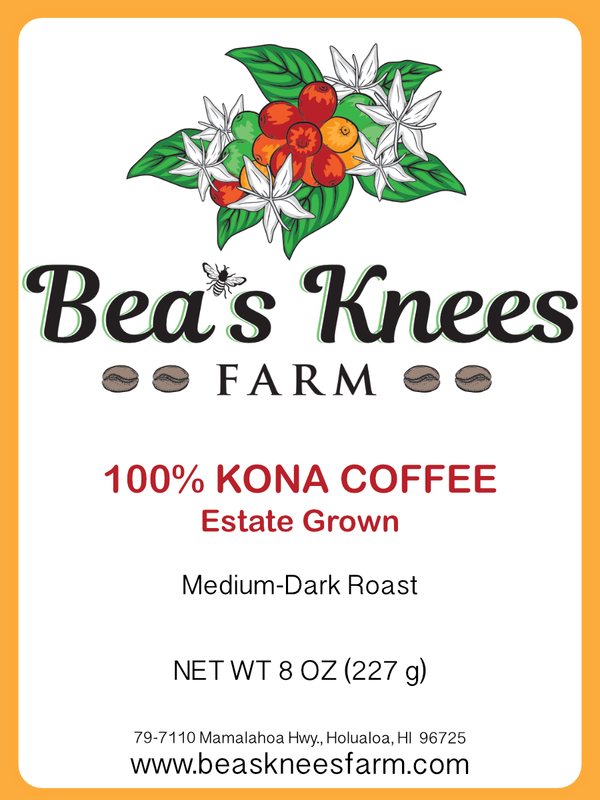 Bea’s Knees Farm 100% Kona coffee, estate grown, whole bean. 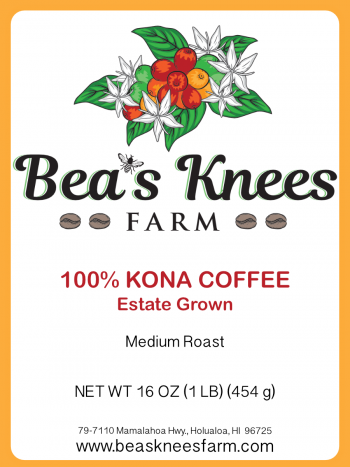 One half-pound (8 oz) bag. Medium-dark roast. Bea’s Knees Farm 100% Kona coffee, estate grown, whole bean. 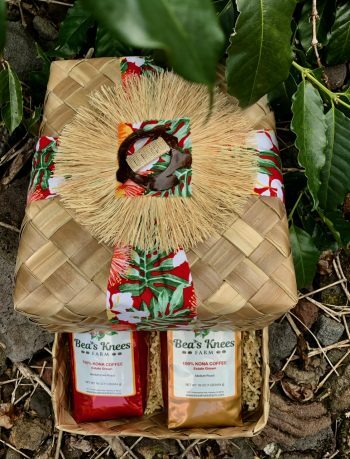 One half-pound (8 oz) bag. Roasted to order: medium-dark.